Jonathan Lee was born in a small mining town in northern England in 1974. His first novel The Radio was shortlisted for the Novel Prize 2012. This was followed by The Page (2015). Also in 2015 A Tiny Feeling of Fear was published. This novel deals with mental health issues and was inspired by a very personal tragedy in Jonathan’s life. Jonathan aims to raise awareness on mental health issues and writes regularly on this subject for the Huffinton Post. 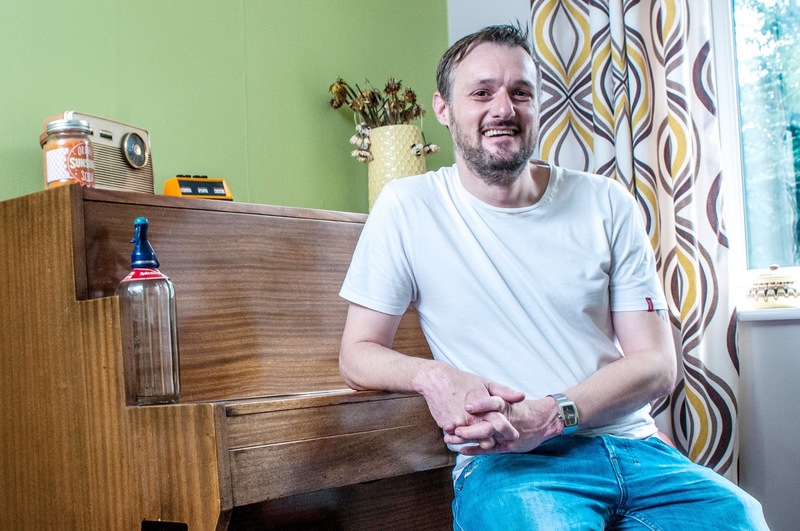 Jonathan currently lives in South Yorkshire with his partner Nikky, raising their five children. 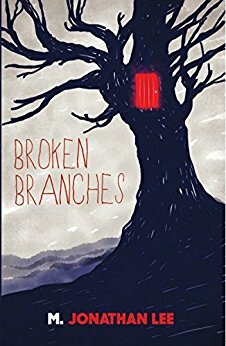 Jonathan's fourth novel Broken Branches is released on 27th July 2017. Family curses don’t exist. Sure, some families seem to suffer more pain than others, but a curse? An actual curse? I don’t think so. Broken Branches is a tale of family tragedy resulting in immense pain and suffering and Ian’s mental decline is very realistically expressed. His character elicits a great deal of empathy as he struggles to understand the curse that he believes has blighted his family for generations. Review of Broken Branches can be read via Carol Sampson. We thank Jonathan for participating in our conversation and wish him every success for the future. I began writing properly back in 2009. When I say properly, that was the time I decided that I was going to sit down and actually try and write that novel that I had been saying I would write for the previous twenty years. The suicide of my brother was the trigger. My first novel, The Radio was shortlisted in the Novel Prize 2012 which was a national prize for unpublished authors. It was published in 2013 and since then I’ve had two more novels published, The Page and A Tiny Feeling of Fear. My new novel, Broken Branches is my fourth. I struggle with the terms such as writer, author, novelist. I have always seen myself as a storyteller. I like to write books that tell a story, but I also like to trick the reader. What do I like most? Definitely being able to have the licence to create my own scenarios, worlds even. I like to be able to immerse myself fully in those worlds as a form of escape. Yes, absolutely. Michael Sewell, the main protagonist in The Page, was written purposefully with the intent of creating a hateful lead character to see whether people would bother to read a story about a man who was awful in every way. There were reasons that he was that way, though. I find character writing very easy. I have a very broad brush approach to how the character will be. You know, like strong or weak. Overbearing etc. From there on I mould them to fit the story using little exaggerated pieces of personality of people I have met or overheard. Bobby Brewster sticks in my mind. These were short stories about a boy who magical things happened to. For example, in one story the characters on Bobby’s wallpaper came to life and began speaking. In another, a scratched record he played began to talk to him. I read all of the books and loved them. Take me to the rolling fields of Nebraska in a cabin, surrounded by nothing whatsoever. Isolation. Solitude. Both work perfectly for me as they help my ideas to spill out. Oh, I’d need some speakers so I can turn the music up loud. Stephen King’s Misery sticks in my mind as the one. Though Life of Pi is very very close behind. There is a lot of advice I could give. Bits and pieces that I’ve picked up that could really help. I suppose the main one would be write what you feel. When you sit down to write don’t feel you have to write your novel in chronological order. If the scene you wrote previously was a sad scene and you don’t feel sad today then don’t continue it. Write a different part of the book. Then piece it all together at the end. I leave lots of manuscripts with chapters pending to write as I go through. I have just about finished ‘How was I supposed to know how it would be?’ which is a story about a man who considers faking his own disappearance to get away from the stresses of bringing up a young family. He yearns for the peaceful life of his elderly neighbour who seems to watch him from across the street daily. The only problem is that he doesn’t actually know what his neighbour’s life consists of, and what goes on behind closed doors. 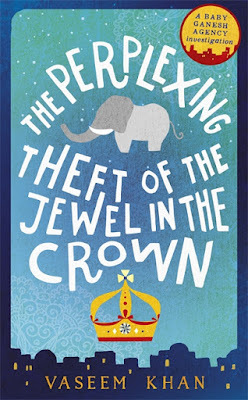 This is the second book in a series regarding the investigations of Inspector Chopra (retired) and his assistant, the baby elephant Ganesha. People waiting for this book will not be disappointed as the story is just as delightful and entertaining as the first. It is full of charm, drama, joy, sadness and lots of comedy moments. Chopra is a force for good and Ganesha is his adorable partner. There is something universally endearing about the elephant calf. Chopra was not by nature a sentimental man, but there was no doubt that the bond between them meant as much to him as any human relationship. Mumbai is a teeming city of 20 million people. The author describes the sights and smells so vividly that it is easy to picture. The people, culture and chaos seem to jump out of the book. The mouth-watering food is especially well described. The Baby Ganesh Detective Agency has many cases to solve. The most important one is the theft of Queen Elizabeth’s crown which is on display in a museum under tight security. The jewel in the crown is the Koh-i-Noor diamond, the mountain of light. The presence of the legendary diamond on Indian soil had caused quite a stir. Many felt it had been stolen by the British one hundred and fifty years earlier…..and had now found its way home. Chopra feels the robbery is humiliating for India and is determined to solve the crime. The corrupt police have arrested the wrong man who is being detained and mistreated in the infamous Arthur Road jail. Chopra cannot rest until he gets him out. The prisoners had the highest rate of HIV in the country and were routinely abused both by their fellow inmates and the hardened guards. Murder was commonplace, the suicide rate off the scale. Chopra is honest to a fault and very gentle with his wife Poppy, who has issues that tug at our hearts. Nevertheless, she demonstrates that she can be a strong and feisty woman solving a crime herself involving spoilt young boys at the St. Xavier Catholic school for boys. But it is her kindness to Ganesha and a street boy called Irfan that endears us to her the most. Poppy dotes on Ganesha, spoiling him with treats such as the never-ending supply of bars of Cadbury Dairy Milk that he was addicted to. Poppy has opened a restaurant where her cantankerous mother Poornima Devi has been installed as the manager. There are hilarious scenes between her and the head chef Lucknowwallah who is a highly-strung artist. Poornima Devi had an ability to inspire terror in everyone and a grasping memory, usually employed in recalling Chopra’s numerous faults. Ganesha adores the street boy Irfan and greets him with an exuberant bugle and a sparkle in his eyes. They are firm friends and seem to understand each other’s joy and pain. When the boy is captured and forced to return to the slums, it is Ganesha who rescues him and returns him to Chopra and Poppy. There are risks and challenges aplenty for Chopra in recovering the Koh-i-Noor and capturing the thieves. Corruption is rife with many officials in the police force in cahoots with the criminal gangs. But the author manages to get us through the difficulties by combining the dangers with humorous situations that have us laughing out loud. The story is written in an easy to read style with a whimsical, almost magical touch. The characters are quirky with names that sound hysterically funny. Some of the plots are quite far-fetched. But inexplicably, everything blends in very smoothly, resulting in a wonderful ride for the reader. Jason Hewitt is an author, playwright and actor. His first novel The Dynamite Room was longlisted for the Desmond Elliott Prize for New Writing and the Authors' Club Best First Novel Award. Devastation Road, now also published in the US and Canada, was longlisted for the Walter Scott Prize for Historical Fiction. His debut play Claustrophobia premiered at Edinburgh Fringe before transferring to the Hope Theatre in London. 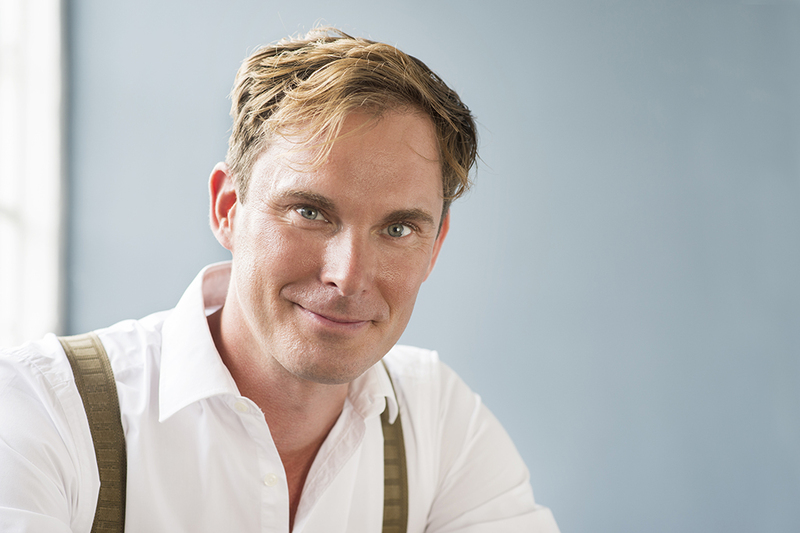 He teaches on the Publishing degree at both Oxford Brookes University and Bath Spa University, and also regularly provides creative writing workshops at the British Library. Jason is also Treasurer for the Historical Writers' Association. Devastation Road is a deeply compelling and poignant story that, like the novels of Pat Barker or Sebastian Faulks' Birdsong, dramatises the tragic lessons of war, the significance of belonging and of memory - without which we become lost, even to ourselves. 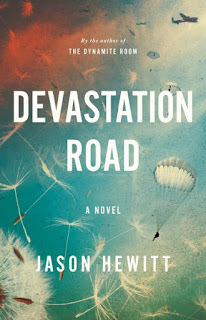 We wish Jason lots of success with Devastation Road and many thanks for joining us in conversation. Tell us your journey as a writer. I’ve been writing stories since I was a child and have always been obsessed with books. My first part time job was at Dillons the Bookstore in Oxford (before it become Waterstones), and when I finished my degree I ended up working there full time. It was supposed to be a temporary position before I got something “more lucrative” but I ended up staying for almost five years. When I eventually moved on it was to begin a career in publishing, something I ended up doing for over 15 years. In amongst all of this I wrote and wrote but wasn’t really getting anywhere. Then not long after my thirtieth birthday I lost my best friend to cancer. It made me realise that life can be short and you need to take it by the horns so I took redundancy and went to Bath Spa University to study an MA in Creative Writing. It took me four years to complete the novel I started to write there and I eventually got an agent, but the book didn’t sell. By this point I’d gone back to my publishing career with my tail between my legs. However, my agent told me to write another book and, refusing to give up, I did. It took another four years to write The Dynamite Room but, miraculously, it sold overnight in a pre-emptive bid. For apparently “overnight success” it had been a very long haul! How do you see your role as a writer and what do you most like about it? I’d like to say my role as a writer is to entertain but if that were the case my books would be a lot funnier. Both my published novels have been set during the Second World War and I hope that they help readers to understand the war and empathise with different viewpoints. Regardless of the time and setting though, like most authors, I hope that I’m writing stories that have universal appeal and tackle subjects that we can all relate to. The best moment for any writer is when a stranger contacts you to tell you that something you have written has touched them in some way. I keep these in a ‘feel-good’ folder for those gloomy days when I feel incapable of stringing a sentence together, let along a novel! Have you ever created a character you dislike but find yourself empathising with? All my characters have traits that I dislike, and that’s why I empathise with them. Characters, in my opinion, should all be flawed in some way because if readers are to relate to them they need to be human. Heiden in The Dynamite Room walks a thin line between being a monster and a hero. It is the war in many ways that has turned him bad. However, I was really pleased with how much readers felt sympathy for him. The jury is still out for Owen in Devastation Road. He has done something that some readers find hard to forgive, but this, I hope, is what makes his story all the more tragic. For me a diversity of characters creates interesting dynamics. When I came up with the story for The Dynamite Room, the first character that appeared in my head was my Nazi soldier, Heiden. I then tried to think of the most unlikely person for him to be pitted against. From that, eleven-year old Lydia was born. Similarly in Devastation Road, Owen is joined by three distinctively different characters on his journey across Europe – a fifteen-year old boy that speaks no English, and a young Polish girl with an infant. The drama largely comes from the dynamics formed by their uneasy alliance – none of them trusts the others and yet they find themselves becoming increasingly dependent on each other. Now Winnie-the-Pooh because he speaks so much sense. Although as a child it was James from James and the Giant Peach and Bilbo Baggins. If you could be transported instantly anywhere in the world, where would you most like to spend your time writing? And why? I write on location as much as I can. It helps with the details and is a short cut for the imagination. That said, my next novel is set in the Lake District, which is not very exotic. If I was smart about this I’d choose locations I want to go on holiday and then cram a story into them but it never seems to work like that. In the research for Devastation Road I walked much of the route Owen takes across Europe. It was great fun but ridiculously expensive. These days I’m staying in B&Bs in Cumbria and living on a diet of Kendal Mint Cake. Shakespeare’s First Folio. Just to have come up with a Hamlet or King Lear would have made me pretty happy. Even a dud like Pericles. But to have created so many rich, timeless tales that have become the bedrock of so much of our storytelling! It’s impossible to underestimate Shakespeare’s influence on modern culture. If a selection of plays, however, is a cheat it would have to be Winnie-the-Pooh. Every writer takes a different journey to publication. Every writer works differently. And every writer will offer you different pieces of advice. All I would say is find a way that works for you. You need to put the hours in (a lot of hours) and learn from your own successes and mistakes; and that takes persistence. Be prepared for the knock backs, because they will come. And, most importantly, take on criticism when it is valid. And learn. Learn. Learn. The next novel is set in 1947 in the Lake District and involves a lot of sheep and possibly some supernatural phenomena (or possibly not). When does a riot become a revolution? When does a demonstration of dissent tip over into a moment of unstoppable political change? 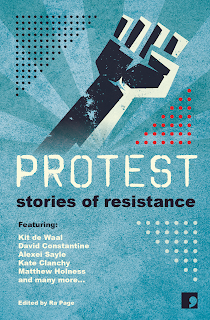 Comma Press release their new anthology celebrating the often overlooked history of British protest; bringing together authors, academics, and witnesses to create fictional stories true to history. Brexit, Trump, Black Lives Matter – political causes are once more stirring people across the UK to stand up and fight for what they believe in. But British people have been taking to the streets, the picket lines and the battlegrounds for centuries. In this timely and evocative collection, twenty authors have assembled to re-imagine key moments of British protest, from the Peasants’ Revolt of 1381 to the anti-Iraq War demo of 2003. It may not be a history taught in classrooms, but Britain has a great tradition of protesting; indeed, often only real political progress has come from people power movements. Some have succeeded, like the pubcrawl protesters of Smethwick which helped put an end to colour bars and enforce new equal rights laws; others have fought battles that have still to be won fully, like the Night Cleaners of the early 70s, fighting for their rights to fair and safe working conditions. Protest: Stories of Resistance asks 20 leading authors to bring crucial moments of British protest to life, through specially commissioned stories written in close consultation with experts on each protest - historians, sociologists and in some cases activists - who have also provided historical afterwords to each of the stories. Together, they provide fictional and non- fictional insights into defining moments in Britain's 'other' history, its people's history. Alexei Sayle, Courttia Newland, David Constantine, Holly Pester, Juliet Jacques, Kit de Waal, Maggie Gee, Stuart Evers, Laura Hird, Sandra Alland, Frank Cottrell-Boyce, Matthew Holness, Martyn Bedford, Joanna Quinn, Jacob Ross, Joanna Walsh, Kate Clanchy, Sara Maitland, and Francesca Rhydderch. Greenacre Writers are very pleased to welcome two of the contributors to answer some questions. Kit de Waal who has written a short story in response to the visit to Smethwick in 1965 by Malcolm X. And Avtar Singh Jouhl, who accompanied Malcolm X, wrote the Afterword. Avtar is now 77, so we're extremely honoured to include his answers in this blog that is promoting a very important and much needed collection of stories and afterwords. Kit de Waal writes about forgotten and overlooked places where the best stories are found. Her debut novel, My Name is Leon, a heart-breaking story of love and identity, is a Times and international bestseller, and shortlisted for the Costa First Novel Award, the Kerry Group Irish Novel of the Year, the Desmond Elliott Prize and the British Book Awards Debut. Her prize-winning flash fiction and short stories appear in various anthologies. In 2016, she founded the Kit de Waal Scholarship at Birkbeck University. She has written about the Smethwick Race Protests, 1965. Her short story is entitled: 'Exterior Paint'. Did you know about Smethwick 1965 pre Protest? Before I wrote the story I had no idea that Malcolm X visited Smethwick, which is very strange as my family lived about twenty minutes away at the time and I would have been about five years old. My father was very interested in politics and probably would have talked about it but I obviously had more important things, like dolls, on my mind at the time. How easy or difficult was it to come up with a fictional story for the collection? What thought processes did you go through? And how much collaboration was necessary? I spoke to Avtar Jouhl who was one of the organisers of the visit, spending a couple of hours with him and recording what he said. I was very interested in what he said about the colour bar in local pubs and that was really the start of the story for me. My father was a West Indian at the time who went out with a white woman so obviously some of that history is very familiar to me. Did you undertake any research for the article? Was it difficult to find resources and if so why do you think this was? I read articles on line and as I said I spoke to Avtar Jouhl. I also visited the area to get a look at the housing and the exact geography. There are also quite a few clips about the visit on You Tube and the BBC website. What is at the heart of the short story? The heart of the story is equality, I suppose, and that the exterior paint that we all have on the outside doesn’t matter. There are more important layers underneath. Malcolm X gave one man the courage to stand up for that. By writing about Smethwick 1965, you've contributed to that time. Can fiction help to make history more accessible? Of course, yes. I read very little non-fiction but lots of fiction set in the recent past. Fiction helps us to inhabit, imagine, live another life, walk a mile or a year in someone’s shoes. We might not read The History of the Suffragettes but we might read one woman’s story set at that time. I have come here because I am disturbed by reports that coloured people in Smethwick are being treated badly. I have heard they are being treated as the Jews under Hitler. I would not wait for the fascist element in Smethwick to erect gas ovens. What made you choose to live in Smethwick? I chose Smethwick in 1958 because my elder brother was living in Smethwick. He owned a house on Oxford Road, Smethwick. I wrote my afterward retrieving information from Indian Workers Association Great Britain (IWAGB) record archive deposited at Birmingham City Council reference liberary and my personal records. How did you feel reading Kit's story? Fiction written on real story. Do you feel it was true to your testimony? Did the story capture the essence of the time? 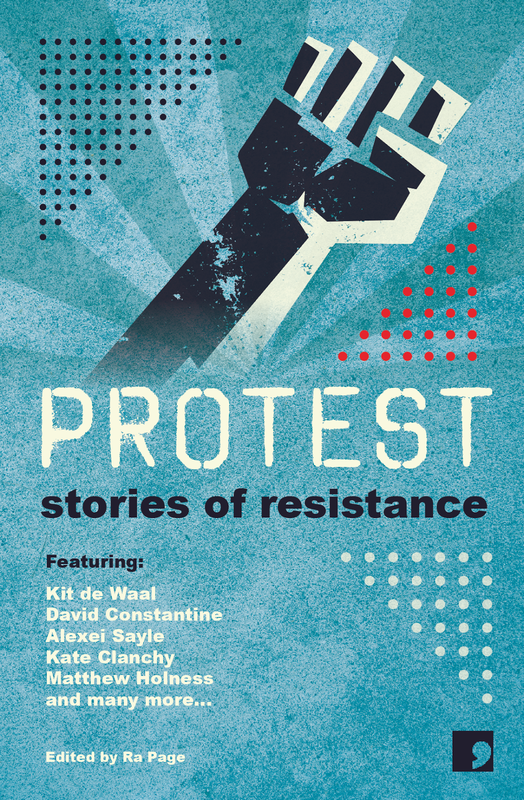 Protest: Stories of Resistance is published by Comma Press. We'd like to thank them for the review copy. Fiona has a dream and she’s won it - her dream hen party. She is to be whisked off, with her four bridesmaids, to sunny Mallorca to laze on sunny beaches, be pampered at a day spa and indulge in cocktails on a luxurious yacht as her prize on a reality show. Bliss. Kate has a dream too. Hers is to make a documentary about the pollution of plastic in our oceans. Plastic People would aim to make viewers more responsible about our endless use of disposable plastic and the dangers it can cause to the environment and its wildlife. The TV job she is offered isn’t quite what she hoped for but it could be a step in the right direction so she agrees to replace the injured director of The Hen Party, a low budget reality TV show. Maybe she can include an environmental angle. After all, where better to highlight marine pollution than on Mallorca’s fabulous beaches? Dreams soon turn into nightmares when plans go awry, ideals clash, secrets and jealousies simmer causing arguments to break out. Can Kate keep the hens under control to preserve the show or is she the one responsible for its looming failure? Despite the mantra, she did not feel the least bit calm. Her stomach was in knots. The girls would not be giving her a warm welcome this morning. If they offered her a cup of tea, she could be sure it was only because they’d laced it with poison. There wouldn’t be one ally among them. Not the bride-to-be. Not her four chosen hens. Not even the crew. In a novel that bounces along with Emily Benet’s irrepressible verve, we become acquainted with the characters against the backdrop of gorgeous Mallorca away from the crowds. She paints each character’s strengths and weaknesses, changing our perceptions of each as the narrative unfolds. My sympathies changed course several times as I was drawn into the story through the different characters’ viewpoints and the backstories informing them. The plot twists mirror the characterisations with never a boring moment. Laugh out loud comedy mixes with tension, romance, a dose of travelogue and environmental issues, making this a great holiday read that you won’t want to put down and will give you a little more insight than you bargained for. Emily Benet was born in London. With a Welsh mother and a Spanish father Emily spent her childhood in both London and Barcelona. Like many novelists, her passion for writing started at an early age and she drew on her observations of everyday life for inspiration. During her teenage years Emily worked in her parents’ chandelier shop and her dealings with the public provided a wealth of entertaining material. Emily began to blog about these amusing encounters which eventually went on to create her first novel Shop Girl Diaries commissioned by Salt Publishing. Shop Girl Diaries was subsequently made into a short film which was selected for The London Short Film Festival in January 2014. The success of Emily’s debut novel resulted in a book deal with HarperImpulse, an imprint of Harper Collins, for The Temp (2014) and #PleaseRetweet# (2015). 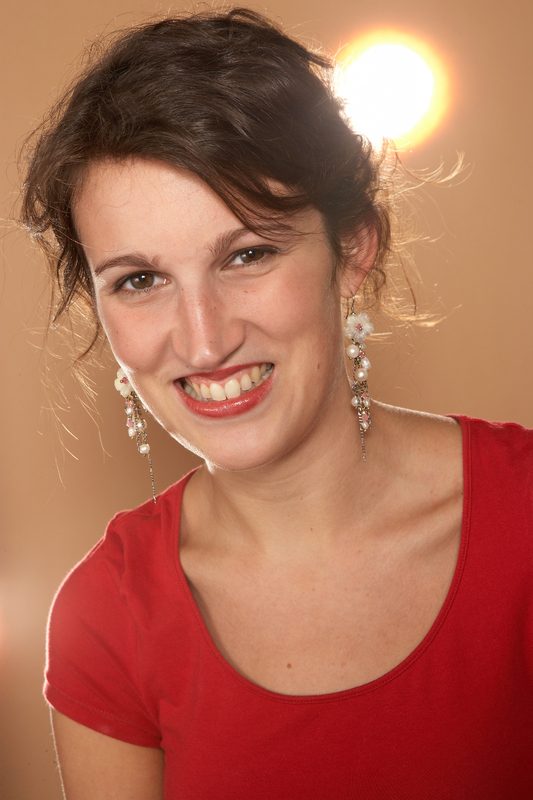 Emily holds workshops on blogging and has written the guide, Blogging for Beginners. She has also written many articles on blogging and social media for magazines, including Myslexia, Publishing Talk and The New Writer. Emily now lives in Mallorca, which is the setting for her new novel The Hen Party. Film Director, Kate Miller, is in serious trouble. 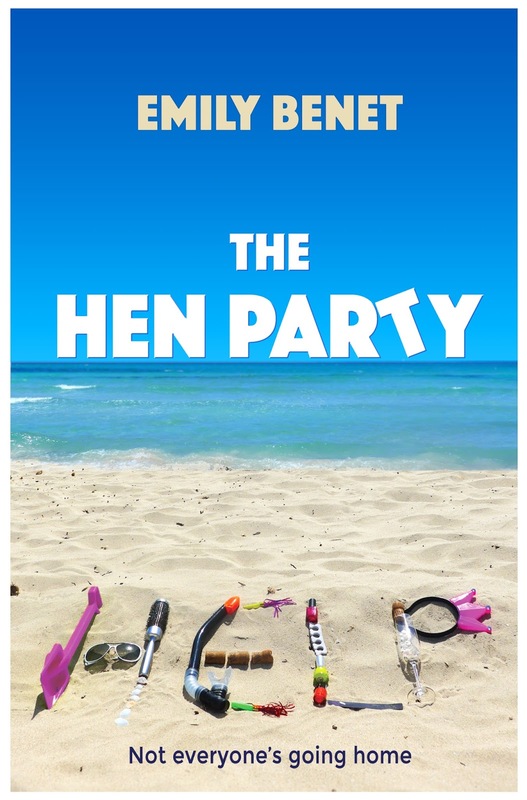 The entire cast and crew of the reality TV show The Hen Party has gone missing while filming in Mallorca.To make matters worse, the network boss has just flown in and will be arriving any minute to check up on her production. But if she is to blame, why were the hens arguing between themselves? And why is the groom-to-be calling her up in tears? Kate doesn't know the half of it. The hens have their own secrets and it's only matter of time before they all come tumbling out. Thank you Emily for taking part in our conversation and we wish you lots of success with your new novel. stories getting placed in a contest. Everything changed with my blog, Shop Girl Diaries, which I began in 2008. 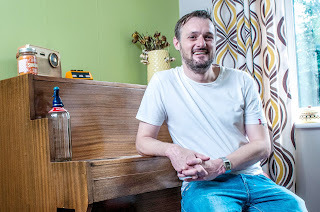 The blog, which was about the ins and outs of working in my parents' eccentric chandelier shop, was spotted by Salt Publishing thanks to the wonders of social media, and they commissioned it as a book. I also wrote a short film based on it, which was shown at the London Short Film Festival. The blog won the Completely Novel Blog Awards at the London Book Fair in 2010. An agent contact me after all that- which made a nice change! The agent wasn't keen on my next book idea though, so life went on, very much unchanged. It took another two years before, frustrated and impatient, I embarked on a new adventure online. My next book was a romantic comedy called Spray Painted Bananas and I wrote it chapter by chapter on the hugely popular online platform: Wattpad. It racked up over a million hits and I was inundated with lovely comments and people asking me: What happens next?! To be honest, I didn't always know! Thanks to its success, I finally signed with an agent and got a book deal with Harper Collins' imprint Harper Impulse. They published Spray Painted Bananas under the new title The Temp. Although I regret the change, the experience has taught me so much. After so many years immersed in the world of social media, it felt only fitting to write a comedy on social media addiction, which is how I came up with my third book: #PleaseRetweet. Despite fulfilling my dream of getting an agent and traditional publisher, I've chosen to release my next book The Hen Party independently. Being the creative director of my new project has been really exciting and empowering. When you are in control you can work much faster and get exactly what you want. Now I've just got to hope it's what my lovely readers want! Entertainer? Interpreter of the human experience? God, I don't really think about it. All I know is that I feel compelled to do it. If I haven't written in two days I start to feel agitated. Of course I love it when people relate to what I write. As a freelance writer, I also love the diversity of what I have to write about and the fact it brings me into contact with people and places I might not otherwise. I once wrote about an ex-con with noisy neighbours who ends up setting their house on fire. Noisy neighbours are the worst. I didn't have a favourite literary character but I read a lot. My biggest influencers were Enid Blyton, Judy Blume and Brian Jaques (Redwall Series). You know, I'm really happy where I am, which is on a sunny terrace in Mallorca. If I'm going to travel, I don't want to write while I'm doing it, I just want to be fully present. I'd love to see Iceland and Norway, but I'm not writing there if I need fingerless gloves to do it! Big Little Lies by Liane Moriarty. It's clever, witty, fast-paced and intense. I've read it three times with a pen in my hand. For starters, finish that book you're writing. Everyone starts but not everyone finishes. Next, you need to make your own luck. Put your work out there and find your readership. My experience has been of publishers showing interest once I've proved I've got some readers! I'm still bashing out a first draft of my next book. 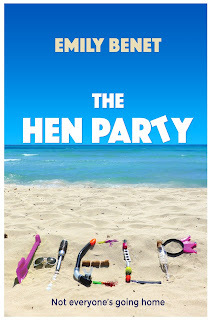 It involves all sorts of characters, who are also neighbours, facing their own personal dramas in one big apartment... For now, though, it's all about The Hen Party which is out now! It's a fun, fast-paced novel with lots of twists and turns. It's set in Mallorca and it should come with a stretch of beach and a mojito!